Over the last ten years, the solar industry has grown at an almost unbelievable pace. From 2005 to 2016, total solar panel production increased from a paltry 1.4 gigawatts to 70 GW – an increase of 4,900%! (See NREL report below for stats.) Today, let’s take a look at the companies that make this happen – the world’s ten biggest solar panel manufacturers. In 2016, these companies produced about half of that 70 GW total, with each shipping between 2.2 and 5 GW of solar panels. That’s enough solar for each company to power between 385,000 and 1 million average-sized rooftop installations! 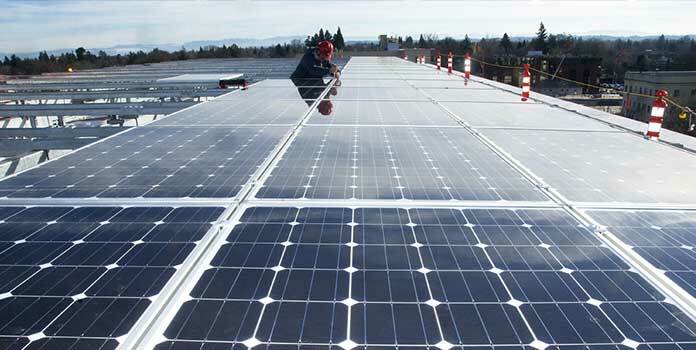 For the most part, all the manufacturers produce ‘standard’ solar panels for both residential and commercial installations (panels for commercial systems are larger), though some also offer special products like frameless panels, panels with premium components, batteries, and mounting systems as well. To help familiarize yourself with these companies, we introduce each below, discuss their background, production, popularity in the US (if data is available), and any products that differentiate them from their rivals. While some of these companies may be quite familiar to you, others might be completely unfamiliar – even to those in the solar industry like myself! How do you choose the world’s biggest solar panel manufacturers? The 10 manufacturers below, as highlighted by the National Renewable Energy Lab (p.52), ship the most solar panels of all solar panel manufacturers across the world. Along with many, many others, these are the companies that keep the solar industry moving forward. If you’ve seen solar installed on rooftops in a neighborhood, chances are high you’ve seen panels from one (or several) of the companies below! Before we move forward though, here’s an interesting questions: Obviously, the companies are the biggest solar panel manufacturers in the world, but does ‘biggest’ necessarily translate to ‘best’? Let’s answer that question real quick. Does size equate to quality? To be brief: not necessarily. Ask yourself this: is Walmart known for quality products and service? Absolutely not. They’re popular because they offer the best value for your hard-earned cash. Just like Walmart, the panel manufacturers below are ubiquitous because they offer the best bang for your buck. They produce standard quality panels at good prices. Warranties are almost always decent, typically falling around 10 to 12 years for parts and 25 years for production, but not the best in the biz (that goes to US panel manufacturer, SolarWorld, with their 25 year parts and production warranties). Here’s another analogy to make everything a little clearer. 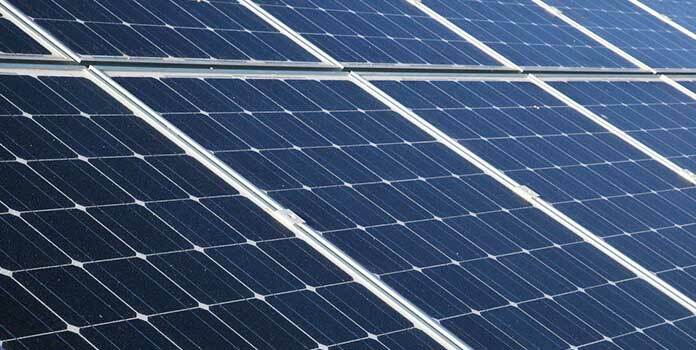 Solar panel manufacturers are actually very similar to car manufacturers. What are the most popular car companies? The ones like Toyota and Honda that make reliable, competitively-priced automobiles. To grossly generalize, the solar panel manufacturers we list below are the Hondas and Toyotas of the world. Of course, there’s also the solar equivalent of Mercedes and Lexus as well – companies that produce high-end products at a premium cost. While the solar-equivalents don’t make it on the list below, they’re out there. 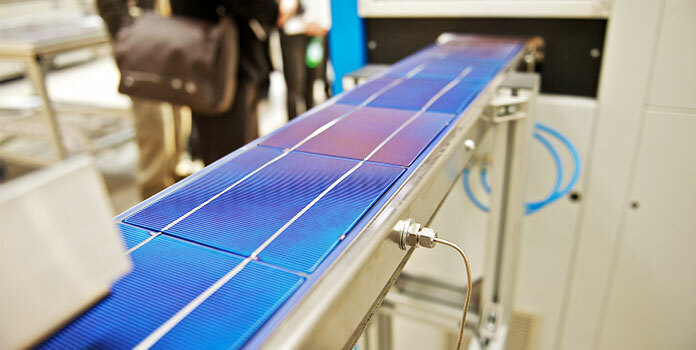 Companies like SunPower and Panasonic, for example, are known for making some of the best panels on the market. But compared to Trina, Hanwha, or other manufacturers on our list, they’re relatively rare. For most homeowners, solar panels from any company on the list below (as long as they sell residential solar panels) constitute a good decision. They are all respected, well-known brands that offer quality products, good prices, and standard warranties. For most homeowners, panels from the companies below will work just fine. Here’s a quick chart showing the 10 largest solar panel manufacturers in 2016. Glanced through the chart? Ok, let’s get into the details, starting with the world’s largest solar panel manufacturer! Trina Solar began in 1997, making it one of the older companies on our list. As of 2017, they work in over 70 countries, with offices on every populated continent (sorry Antarctica). For the past 2 years (2015-2016), Trina Solar has shipped more panels than any other manufacturer in the world, at 3.5 and 5GW respectively. For perspective, 5GW is enough to build close to 1 million average roof-top installations. That’s a lot of panels! For even more perspective: Trina shipped 3x as many panels in 2016 than the entire solar industry combined in 2005. Since their beginnings 20 years ago, they’ve shipped more than 23 GW of solar in total. That’s enough solar to make over 4 million rooftop installations. Obviously, this requires a lot of work and Trina employs 15,000 people. They also make some pretty great solar panels – both for residential and commercial systems. Their newest panel offering, the frameless DUOMAX, sandwiches the solar cells between 2 sheets of glass, providing greater durability and higher production over the life of the installation (they also look pretty cool, too). Trina provides ultra-long 30-year production warranties for the DUOMAX panels and promises they’ll still produce 85% of their nameplate capacity by that time – both higher and longer than almost all standard panels on the market. 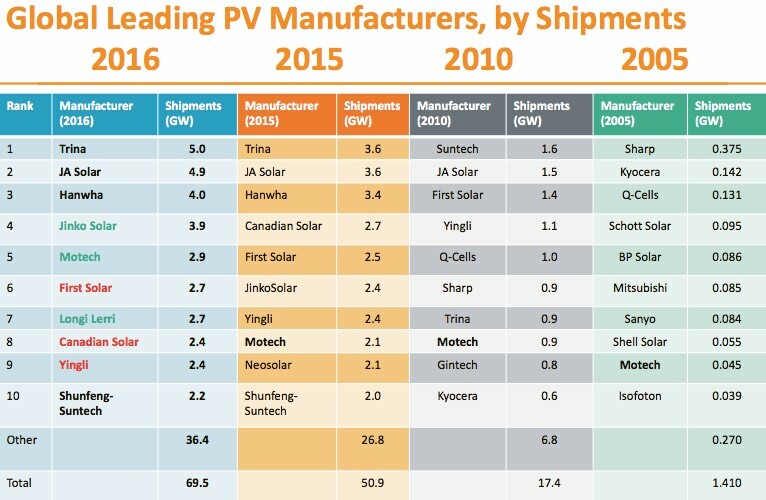 JA Solar comes in at 2nd for most solar shipped as of 2016. If you haven’t heard of them, don’t be too surprised, as only about 10% of their sales revenue comes from the US market. Instead, they focus on the domestic Chinese market, where they see almost 50% of their total revenue. Like many of the companies on this list, JA Solar is vertically integrated and control all aspects of the manufacturing process. They produce the silicon ingots (the most basic building block of solar panels) and bring them all the way up to actually putting the solar panel together (the glass, aluminum frame, solar cells, etc). The company was founded as a solar panel manufacturer in 2005 and subsequently went public in 2007. As of 2017, they’ve shipped 23 GW of solar – the same amount as Trina above. They offer both standard and premium models, as well as frameless panels and new ‘smart’ modules with built-in power optimizers that increase the energy production of each solar panel. Pretty cool! You probably didn’t know it, but you’ve likely seen Hanwha panels before on your neighbor’s roof. Hanwha offers pretty good bang for your buck and US nationwide installers continue to choose them for residential projects. Since 2005, they’ve remained steady on the list of top solar producers in the world, hovering around the 3rd place for most of the last 12 years (with a dip to 5th in 2010). It probably helps that they’re not a fledgling company exclusively focused on solar. Hanwha is one of the largest companies in South Korea, with their hand in industries as diverse as chemicals, hotels, insurance, and banking. 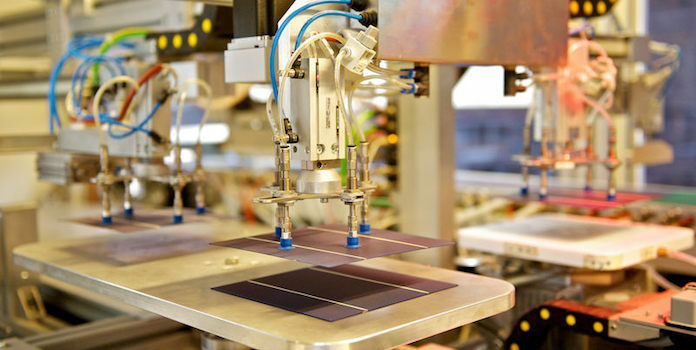 Hanwha’s solar arm – known as Hanwha Q-Cells – has their business headquarters in Seoul, but their technology and innovation departments in Germany. They shipped 4 GWs of solar in 2016, just shy of JA and Trina, but still enough for over 700,000 residential solar installations. Unlike JA Solar though, Hanwha Q Cell only focuses on piecing together the solar cell and panel, leaving the silicon ingot and wafer production to Hanwha Chemical. 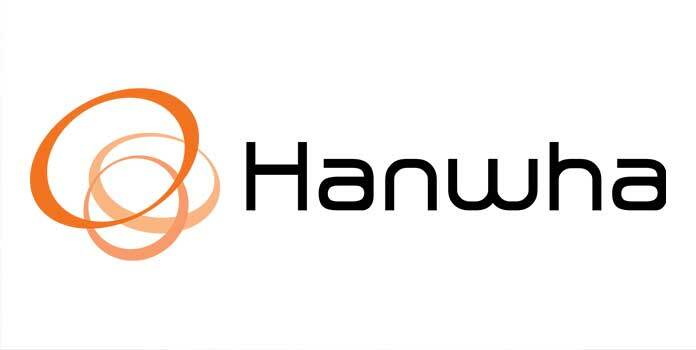 Hanwha owns panel manufacturing plants in South Korea, China, and Malaysia. 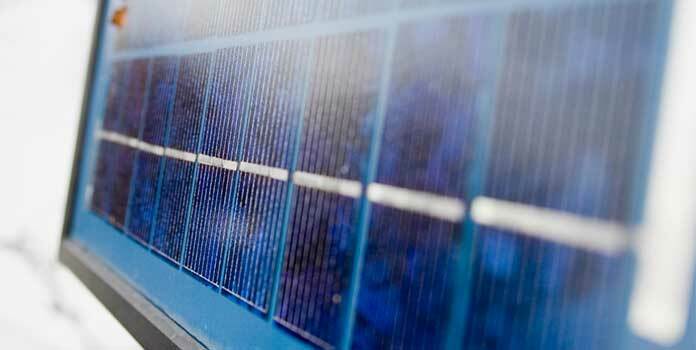 Like the other companies on our list, Hanwha produces both residential and commercial panels in both monocrystalline and polycrystalline options. 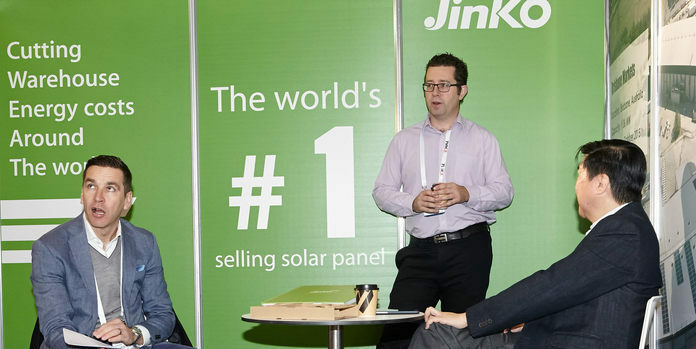 Jinko Solar began in 2006 and quickly ramped up to be the world’s 6th biggest panel manufacturer by 2011. Today, they have over 15,000 employees in 23 countries and have installed more than 12 GW of solar. In 2016 alone, they shipped just under 4GW, placing them at #4 on our list – up from the previous year. While Jinko trades on the New York Stock Exchange, (like JA Solar above) they focus on the Chinese domestic market, where the vast majority of their panels are installed. Even still, Jinko is increasing its US presence. In 2016, the US market accounted for just shy of 30% of its total sales revenue. Like other installers on our list, Jinko produces both commercial and residential panels. However, they also produce mounting systems for large-scale commercial or utility projects as well. With their extremely fast growth, we’re bound to see more from them in the future! The only Taiwanese company on our list, Motech Solar is based in the high-tech manufacturing hub of Tainan. Founded in 1981 to manufacturer lab testing and measuring tools, they began diving into solar in 1997, making them one of the older companies on our list. Today, Motech focuses exclusively on the solar industry, producing not only solar panels but solar cells (which they sell directly to panel manufacturers) and inverters as well. They produce poly- and monocrystalline panels for both residential and commercial use, as well as a premium, high-efficiency mono panels. Unlike other companies on this list, Motech trades on its domestic stock exchange, the Taipei Exchange. They have 7 locations in Taiwan as well as branches in Japan, China, and the US. Motech isn’t quite as large as the companies in the #1 to #4 spot, with 2.9 GW shipped in 2016. Still, that’s over 500,000 installations worth of solar and over 3x more than they shipped in 2010 – just 7 years ago. Talk about growth! Coming in at #6 and shipping just 0.2 MW less than Motech, is First Solar. Unlike some of the other manufacturers on our list, First Solar has a big presence in the US, with 82% of their sales revenue coming from the region. However, First Solar is somewhat of an anomaly on our list in terms of the products they offer. First off, they only produce solar panels for large, utility-scale projects, so unless you work in the industry, you’re probably not too familiar with the company. Secondly, First Solar only manufacturers thin-film solar panels, as opposed to the more common silicon panels most companies here produce. Thin film panels are exactly what they sound like: a thin module made from CdTe (Cadmium Telluride). 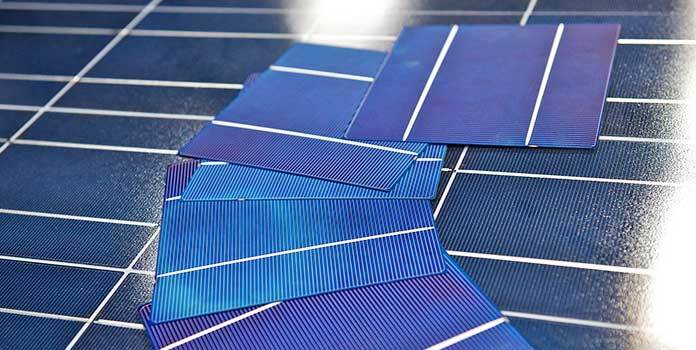 While in the past, thin film solar panels saw a much lower efficiency than silicon panels, First Solar’s continual innovation has led to the technology being almost on par, if not equal to, its silicon brethren. First Solar’s panels today enjoy 17% efficiency, a far cry from 13% just 4 years ago and very close to standard-quality silicon panels. First Solar has worked on every continent (again, besides Antarctica), employs 5,400 individuals, and has produced more than 17 GW of installed solar over its lifetime. New on our list of leading solar panel manufacturers for 2016 is Longi Lerri Solar. 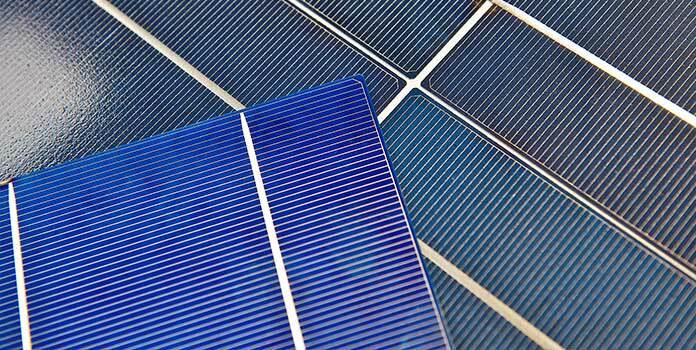 The company is owned by the Xi’an Longi Silicon Materials Corporation – a larger solar R&D and manufacturer firm. The company trades on the Shanghai Stock Exchange and, until 2016, solely focused on the Chinese domestic market. They’ve obviously done quite well there and have shipped enough panels for 877,192 average-sized residential installations. Lerri Solar planned on entering the US, German, and Japanese markets in 2016, but further information is not available. While they seem to produce decent products, until we hear otherwise, don’t expect to see Longi Lerri anytime soon. The only manufacturer outside Asia that makes our list is Canadian Solar, with 2.4 GW of product shipped for 2016. Unfortunately, Canadian Solar has slipped from its 4th place high in 2015, down to #8 for 2016. While we can blame some of this on the company’s lower shipment numbers, it’s also a testament to the frenzied growth of the industry as a whole. 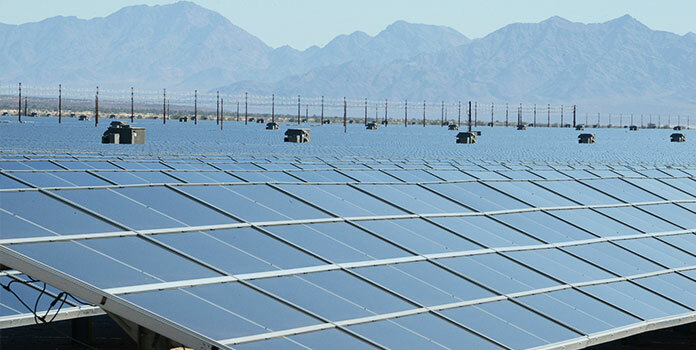 Beyond that, they also offer planning and development services for utility-scale and microgrid solar projects. With 25% of their sales revenue coming from the US market, Canadian Solar is known for their ultra-durable panels designed to hold more snow load than others, making them a common choice for areas with long, cold winters. We’re almost at the end of our list, with #9 filled by Yingli Solar. Like Canadian Solar, Yingli’s popularity has dwindled as fast-growing rivals eat into the market. While Yingli shipped the same amount (2.4 GW, see chart on p. 53) in 2016 as 2015, the sheer growth of so many other companies dropped them down 2 spots over just a year, and 5 spots since 2010! Yingli simply isn’t growing fast enough to keep up. 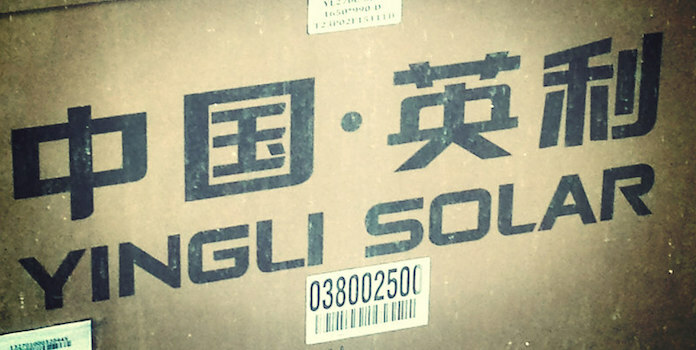 Like a few others on our list, Yingli focuses exclusively on producing solar panels. They don’t make inverters. They don’t make batteries. There are no installation services. They just make basic mono and poly panels for residential and commercial systems. They run multiple manufacturing plants across China and are completely vertically integrated, controlling their entire manufacturing process. While data on their US revenue isn’t available, they’re actually fairly common here and if you’re outside the industry, you might’ve even seen them as the main sponsor of the 2014 World Cup in Brazil. They now have branches in Asia, Europe, and Africa, though haven’t quite delved into the American markets yet. And that’s it! More than anything, I hope that what you’ve taken away from this list is that the solar industry is constantly changing and growing! Companies that were once dominant just 5 years ago can easily get knocked off their throne as younger, more efficient, and more innovative companies take their place. The industry is growing and evolving at lightning speed and companies need to be extremely flexible to stay relevant and competitive. How does all this affect you, the homeowner? And why should you care? In the end, all this competition is good, as prices continually get driven down and efficiency and durability continue to increase. From the consumer perspective, this is great news! Consider that solar panels have dropped from about $2 per watt in 2010 to just $0.35 per watt (p.12) in 2017. Talk about a reduction! As the industry grows and matures, hopefully, we can continue to expect competitive prices and a thriving industry. What are your thoughts on our list? Do you have any experiences with a company above? Tell us about it in the comments!